The history of Indigenous Peoples in Canada is a rich and complex one. 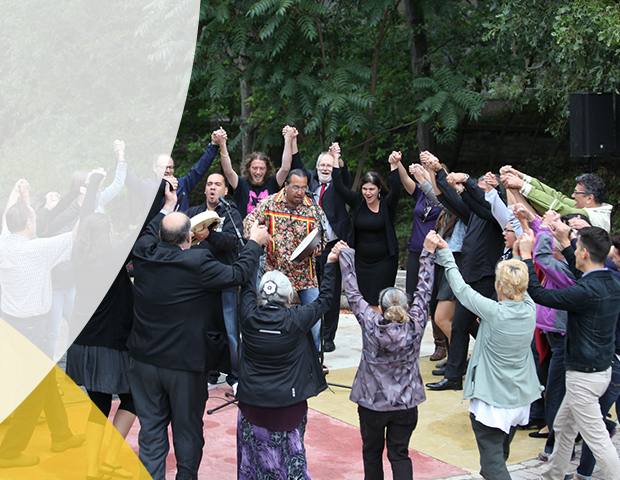 Explore the leading work we are doing to deepen our collective understanding of Indigenous knowledge and reconciliation. McMaster University and the University of South-Eastern Norway have received funding from the Norwegian Agency for International Cooperation and Quality Enhancement in Higher Education to continue their collaborative work in high north regions in both countries. Education, advocacy and strong relationships built on trust are vital to Chelsea Gabel's research into how digital technology can help Indigenous communities move toward self-determination. The Indigenous Research Capacity and Reconciliation – Connection Grants are interdisciplinary and aim to identify new ways to co-develop an Indigenous research training model that contributes to reconciliation. Ten researchers have been awarded a total of $478,661 in funding through the federal government’s Social Sciences and Humanities Research Council's Insight Development Grants. The three-year Ohneganos project will focus on issues of wellness, training and governance related to water quality on Six Nations of the Grand River. Two teams of campus and community partners are the inaugural recipients of the President’s Award for Community Engaged Scholarship for their projects related to preserving the Mohawk language and giving voice to the challenges faced by immigrant women. When reporting on Indigenous health outcomes, it is crucial to provide context for Indigenous health challenges and highlight strengths, to avoid contributing to stigmatization in wider society, McMaster researchers say in the CMAJ. In a new era of reconciliation and an openness from the Canadian government to right the wrongs that have devastated generations, McMaster has established one of the country’s only institutes dedicated to Indigenous ways of knowing and research. For World Water Week 2018 (November 20-23), we're highlighting some of the water research that's happening at Mac. First is Dawn Martin-Hill's interdisciplinary Global Water Futures Project, "Co-Creation of Indigenous Water Quality Tools," which brings together McMaster researchers and Indigenous partners to address water quality in Indigenous communities. Rebecca Crawford is one of 17 undergraduate students who participated in the Indigenous Undergraduate Summer Research Scholars (IUSRS) program under the supervision of Dr. M. Constantine Samaan, associate professor in pediatrics. Indigenous undergraduates and McMaster faculty members have come together for a unique summer adventure that promises to be an important learning experience for both students and supervisors. A group of students is getting a lesson in Indigenous culture this summer thanks to a unique new McMaster class. The School of Nursing and the Aboriginal Students Health Science Office hosted a celebration and recognition event for Indigenous Nurses. This Fund is in addition to ongoing support for cluster funding to accelerate economic growth in key sectors including advanced manufacturing and health and bio-sciences. Two McMaster researchers have been awarded funding from the Social Sciences and Humanities Research Council to learn more about the resources Indigenous peoples need be equal partners and leaders in research within their communities. Indigenous undergraduate students from universities across Canada are invited to apply to the eight-week program that gives students an opportunity for hands-on experience in a graduate research environment. McMaster’s Vice-President of Research, Robert Baker updated the Board of Governors on plans to maintain, enhance and improve the University’s position as a research leader in Canada and around the world. 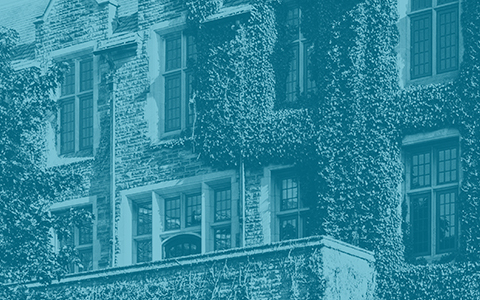 Sociologists and education researchers from around the province recently gathered on the McMaster campus for the Second Annual Canadian Sociology of Education Conference. McMaster researchers have been awarded nearly six million dollars in funding through the federal government's Social Sciences and Humanities Research Council. Meet our world-renowned researchers and learn more about their ground-breaking work. Your donation can help students and researchers unlock a world of potential. Get the latest McMaster research news delivered right to your inbox with our free email newsletter.